“The crisis in Cox’s Bazar, Bangladesh, is mounting with each passing day, with more refugees continuing to arrive daily at the refugee camps. Two of our Primary Healthcare Clinics are already operating at maximum capacity, with our doctors seeing more than 400 patients every day. We urgently need to expand our clinics and services, and the Angels of Mercy charity golf series is most timely,” said Dato' Dr Ahmad Faizal Mohd Perdaus, President of MERCY Malaysia. The situation at Cox’s Bazar has begun to settle, with the Bangladesh government coordinating the movement of the refugees and slowly mapping out the settlements with the assistance of international NGOs. This has helped NGOs such as MERCY Malaysia to identify the most pressing needs of the refugees, and plan aid accordingly. “From International Organisation of Migration’s (IOM) reports, we know now that than 58% of the refugees are actually children under the age of 17, and 51% are women or girls. We have done ground assessments and plans are now underway to build a Mother and Child Centre at one of our clinics to provide maternity services and others,” he said. The Mother & Child Centre will also house a Child-Friendly Space, where children can play, learn and rest in a safe and comfortable zone. Currently, the children roam the streets freely and aimlessly, raising concerns on their safety and childhood development. Dr Faizal added that MERCY Malaysia has already sent out recruitments for volunteer Paediatricians and Obstetrics and Gynaecologists to join their deployment teams later in November. “The Angels for MERCY golf series is Malaysia Golf’s Association’s (MGA) initiative to bring about positive changes to the golf industry,” said YB Senator Admiral Tan Sri Mohd Anwar Mohd Nor, President of the Malaysia Golf Association. 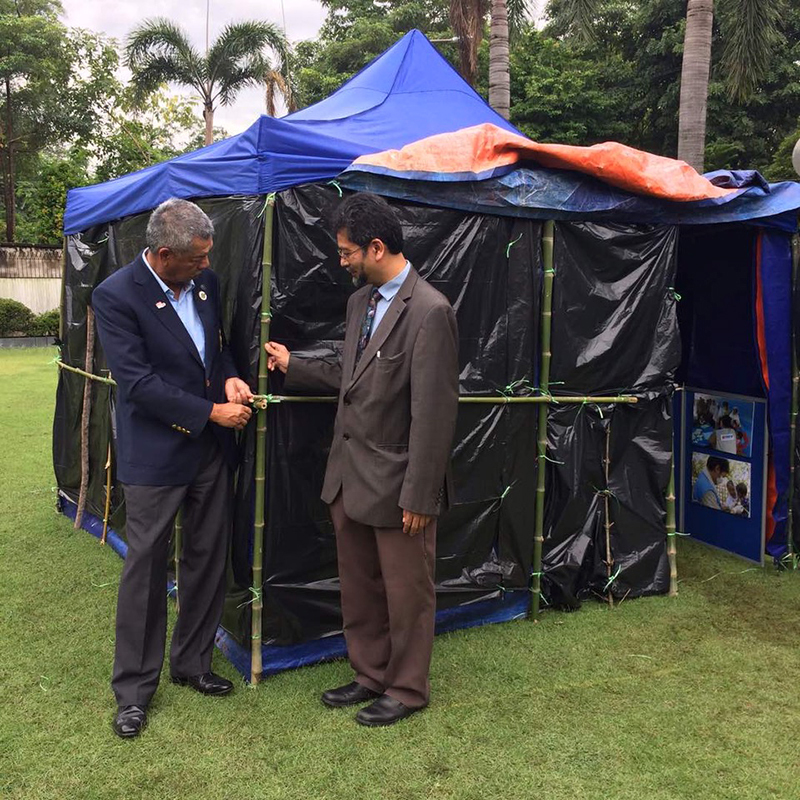 At the media launch, guest and members of the media also had a chance to view a replica of a refugee hut at Cox’s Bazar, where close to 1 million displaced Rohingyans are staying in cramped and over-crowded camps. The hut, made of bamboo poles, tarpaulin sheets and black plastic sheets, measures 8 feet square and fits a family of between five to eight people. ‘The high density population calls for an immediate aid intervention, with communicable and water-borne diseases such as cholera and typhoid spreading fast. There is also high need for Psycho-social Support for the refugees, which we are planning to provide through our Mental and Psychosocial Services programme,” said Dr Faizal. MERCY Malaysia is trying to raise RM5 million to support its humanitarian efforts in Cox Bazar, Bangladesh, while a minimum of RM1 million is urgently needed to help internally displaced persons (IDPs) in Northern Rakhine, Myanmar. Each flight is priced at RM15,000 and all proceeds will be channelled to MERCY Malaysia’s Rohingya Relief Fund. Golfers who are keen to participate in the Angels of MERCY golf series may call Ms Sara: +603-9283 7300 (sara@mgaonline.com.my) or Azizah: +603-2142 2007 (Azizah@mercy.org.my) to book a flight. Alternatively, donations can be made to MERCY Malaysia’s ‘Rohingya Relief Fund’ by logging on to www.mercy.org.my.